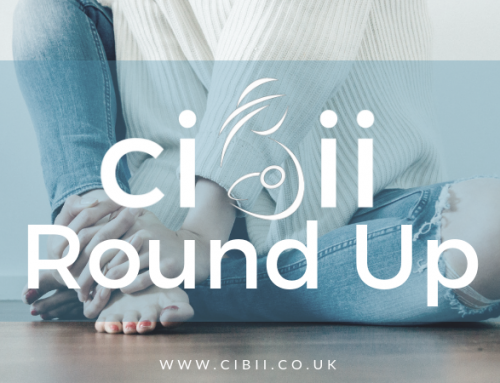 Round Up 10th February | Can I Breastfeed In It? This cute floral top has a mock wrap, but it’s confirmed you can pull aside and there are convenient gaps for feeding access! This elegant jaquard dress has a button front and a waist-cinching belt. It comes in both brown and navy. It would be great for a work dress or dressed up for a more formal occasion! This snuggly knit jumper has a stretchy neckline and gaps under the crossover wrap for access, stay cosy while you breastfeed! Comes in black and mustard. Lovely wrap dress with a flattering fitted waist and draped skirt. Available in black/tan or navy check. This stunning leopard print midi dress is confirmed as feeding friendly! Great on trend animal print dress with a wrap front confirmed accessible for breastfeeding. This funky boilersuit features a zip front, side tie and functional pockets, this is a breastfeeding winner! This slinky cold shoulder dress will have you feeling glam! The neckline is confirmed stretchy enough to pull aside to breastfeed in. Stay cosy in this snuggly and colourful star print onesie. Currently in the clearance – it won’t last long! This Ebay cheapie is made from t-shirt material and is true to size. It features a lift up flap for feeding access. It comes in green, black and red colours. Made from super soft material, this lush cinnamon coloured dress has a pretty hummingbird print. The button front is feeding accessible. Available in black or red, this shirt dress can be dressed up with heels or down with trainers! This relaxed fit dress has a zip front that makes it perfect for feeding. It has pockets, yay! Available in khaki or light denim shades. This lovely oversized top has half length sleeves and a silver zip detail that makes feeding a breeze. This fab striped jersey top is a relaxed fit, and the zip front makes it ideal for breastfeeding! This elegant jumpsuit has a flattering belted waist and wide pleated leg. It also has a neckline that is confirmed as stretchy enough to pull aside for breastfeeding! This cosy dress is made from thick warm material, and has functional buttons for feeding, and bonus – deep pockets! This bright jumper is a long line length and is confirmed stretchy enough to pull down for feeding! Printed with spots and hearts and with contrasting stripes at the waist for definition, this dress features real buttons from top to bottom. Also has side pockets! This stylish green floral tea dress is charming and has a button-through front for easy nursing! It has a gorgeous print, slim collar detail and feminine tie belted waist. Great for layering up when the weather is cooler too!